The current two-time NFC South Division champion and #1 NFC Playoff seed New Orleans Saints have waited an entire year to get to this point. This Sunday, they host last year’s defending Super Bowl champion the Philadelphia Eagles in an NFC Divisional Playoff game at the Mercedes-Benz Superdome. Kickoff is at 3:40 p.m. Central time and will be broadcast nationally by FOX. As Who Dat fans are well aware: last year on the road the Saints suffered a 29-24 loss in the NFC Divisional Playoffs at Minneapolis to the Minnesota Vikings. Since then, the Black and Gold have been on a mission for the last 12 months to not only get back to this point but to also accomplish their ultimate goal: winning the Super Bowl — which will be played just over three weeks from now at the Mercedes-Benz Stadium in downtown Atlanta. The (13-3) Saints will face a much better (10-7) Eagles team this time around than the one that they virtually destroyed several weeks ago during the regular season. 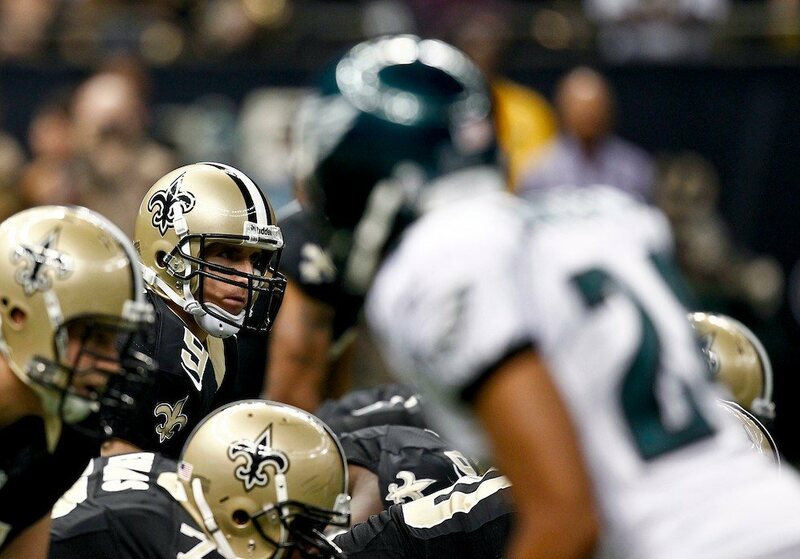 In that mid-November Week #11 contest at the Superdome, the Saints handed the Eagles a 48-7 beat down that at the time left Philadelphia with a (4-6) win-loss record and seemed to end their hopes at making the playoffs. But since then, Philly has rallied to win six of their past seven games including their thrilling, last-minute 16-15 win at Chicago over the Bears in last week’s Wild Card round. They’ve worked hard to get back to this point in what they hope ultimately will be a successful effort to defend their NFL title. 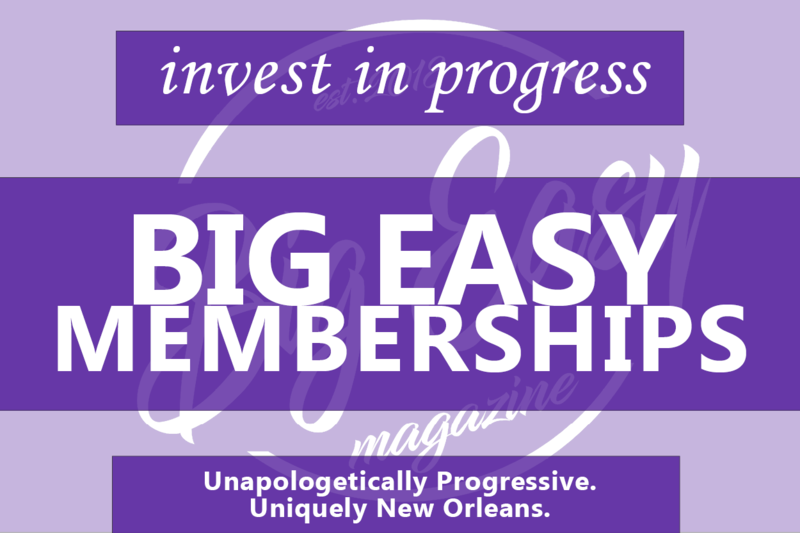 And so, it’s with all of that in mind this morning, that Big Easy Magazine presents our 5 Bold Predictions for this Sunday afternoon’s contest against the Philadelphia Eagles, as New Orleans attempts to advance to the NFC Championship Game and on to Super Bowl LIII (53) in Atlanta. In the previous meeting between the two teams on November 18th at the Superdome, the Eagles only rushed for a grand total of 58 yards on 12 carries, and most of that came from Philly back-up rookie RB Josh Adams — who had their only score that day on a 28-yard 2nd quarter touchdown run and gained 53 of those yards on seven carries. Absent from the Eagles line-up that day was 14-year veteran and former beloved Saints running back Darren Sproles, who last week in the Eagles’ Wild Card win at Chicago had a team-high 13 carries, but only managed to gain 21 yards against the tenacious Bears defense. Philly averaged a mere 1.8 yards per carry in that game. Nevertheless, the Eagles aren’t afraid to stick to their running game, especially since they feel it’s still an effective way to provide additional opportunities that will eventually help open up their well-respected and still-very dangerous passing attack. 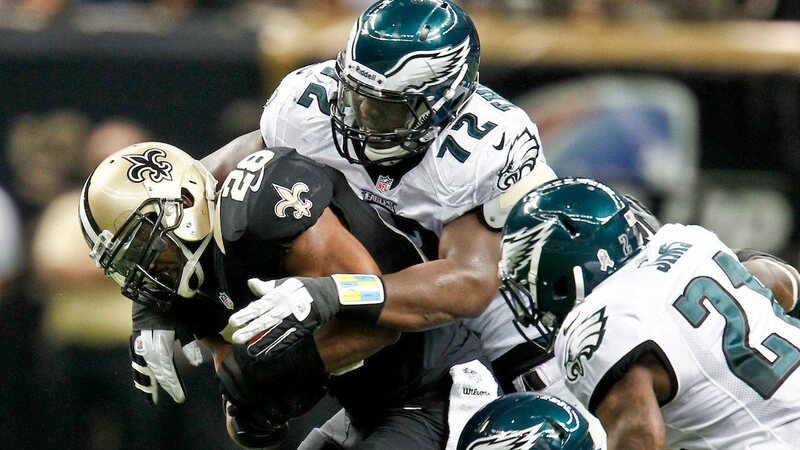 However, Sproles and company won’t fare much better against the 2nd ranked Saints run defense, which in this Sunday’s contest will once again stuff the Philly running game and limit them to 16 carries for 77 yards, with 46 of those yards coming from the diminutive Sproles. Many fans have been amused this week with regard to the unlimited amount of trash talking that’s been going on between the two franchises leading up to this Sunday’s playoff match-up. It initially began during the preseason in early August, when 2nd-year Saints superstar running back Alvin Kamara told Bleacher Report that the Saints would’ve “beat the (expletive)” out of the Eagles if they’d advanced to the 2017 NFC Championship. Philly dominated the Minnesota Vikings — the same team that knocked Kamara and the Saints out of the playoffs — in last year’s NFC Championship Game and then eventually went on to win Super Bowl LII (52). The trash talking (as it’s been well-documented) has, of course, escalated this week in advance of Sunday’s Divisional Playoff match-up; you can certainly rest assured that Kamara will find himself on the receiving end of some big-time hits from the Eagles defenders this weekend. But that won’t stop the former 2017 NFL Rookie of the Year award winner from backing up his own bravado; the former University of Tennessee star gains 87 yards on 13 carries and a rushing touchdown; along with five receptions for 77 more yards on the receiving end, including a five-yard touchdown early in the 2nd quarter. In their previous meeting at the Superdome, the Saints defense (specifically the linebacker corps) were able to shut down the Philadelphia offense because they were able to shut down All-Pro tight end Zach Ertz; he finished with only two catches for 15 receiving yards in what ended up being his worst performance of the entire 2018 season. Ertz ― who led the League among tight ends with 116 catches for 1,163 yards and set the NFL record for most receptions in a season by a tight end ― was blanketed in pass coverage by the Saints linebackers, but seemed to struggle more so because of the issues faced that day by then-Eagles starting quarterback Carson Wentz. But thanks to backup quarterback Nick Foles rallying their team, along with a key adjustment in how they deploy their offensive players on a given play, Philly’s been able to beat teams in pass coverage with Ertz and his amazing rookie teammate, former South Dakota State All-American tight end Dallas Goedert. Both players have elite-caliber receiving skills, and with each standing 6-foot-5, they look more like two NBA basketball power forwards going up for a rebound than anything. That clearly makes them one of the hardest receiving tandems to defend in the NFL. Despite their very best efforts, the Saints will have some difficulty defending the pair, as each player has over 50-plus yards receiving and a touchdown, including a critical one by Ertz in the 4th Quarter. When the Saints and Eagles meet on Sunday, not only will there be two Super Bowl MVP quarterbacks facing off against each other (Drew Brees, Super Bowl XLIV MVP vs Nick Foles, Super Bowl LII MVP); but it also will be the first time ever in League history that two players with those credentials who both went to the very same high school, will get to play against each other in the NFL playoffs. It’s the 2nd time that they will face each other in the Playoffs, the first time coming in a Saints Wild Card game win at Philadelphia in January of 2014. Brees led Westlake High School in Austin, Texas to the state championship in football back in 1996. Eleven years later, Austin native and current Eagles quarterback Nick Foles broke the many of Brees’ school career records (including the ones for passing yards and touchdowns) as a graduate of the Class of 2007. Both players had phenomenal seasons, although Foles experienced the majority of his success near the end of the recently-completed 2018 season, in a manner that many observers felt was somewhat similar to the way that he did last year when Wentz was lost for the rest of the 2017 season with a torn ACL in his knee. In Sunday’s game between two men who share so many similarities, it will be the soon-to-be 40-year-old Brees (his birthday is next Tuesday) who “outduels” his fellow Austin, Texas alumnus with a 28-for-38 performance for 352 yards and three touchdown passes with zero interceptions, while Foles finishes 22 out of 34 for 327 yards and two touchdowns, with one interception. The Eagles defense forces a 3-and-out, and Sproles briefly finds a bit of the old magic back as he returns a punt 33 yards all the way down to the Saints 29-yard line. Two plays later, Foles hits Philly tight end Zach Ertz, streaking down the middle of the field for a 27-yard touchdown, which suddenly gives the Eagles a 30-28 lead with 4:04 remaining on the game clock. 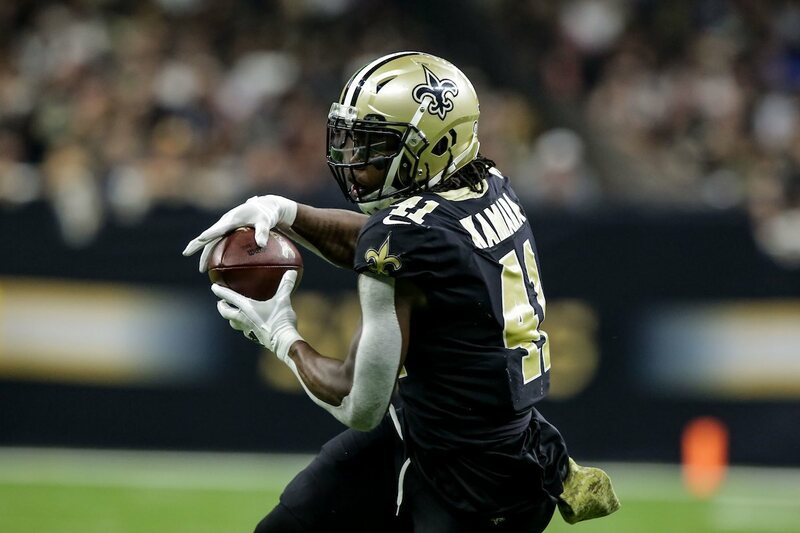 The Saints put both Ted Ginn, Jr. and Alvin Kamara back deep to return the ensuing kickoff, and in a manner in which can only be described as a stunning bit of “razzle dazzle”, Kamara fields the kick and suddenly stops in his tracks before planting his feet and throwing a perfect lateral across the field to Ginn ― who then races down the left sideline in front of a jubilant Saints bench ― for an 85-yard touchdown return as a boisterous Superdome crowd erupts in unison. The Saints are now back in front by a score of 35-30 with 3:38 remaining, when the unthinkable happens. On a 3rd down and 6 at their own 29-yard line, Foles is hit from behind and loses the football, but somehow manages to pick the ball up on one hop as it bounces perfectly right back into his hands, before he hits a WIDE OPEN Eagles wide receiver Golden Tate for a 61-yard touchdown pass (after Tate sneaks behind Saints safety Marcus Williams). Ironically for Philadelphia, they end up being in a situation similar to their Wild Card Round win at Chicago against the Bears, because they’ve left enough time on the clock (2:53) for the other team to drive down the field and move into position for a game-winning field goal attempt. In that game, Bears kicker Cody Parkey missed the potential game-winning field goal when Eagles defensive tackle Treyvon Hester was able to get his fingertips on the ball and slightly block the kick, which caused the ball to strike the left upright of the goal post and then ricochet off of the crossbar, before ultimately bouncing backwards for an official miss. The Eagles were fortunate enough to escape with a win ― so can they pull it off once again? The Black and Gold get the ball back and, sure enough, Brees very cooly and calmly leads the Saints offense across mid-field to get into position for a potential game-winning kick for Saints kicker Wil Lutz. As New Orleans gets down to the 35-yard line, the drive stalls after a nice pass break-up by Eagles cornerback Avonte Maddox on a Brees pass attempt to Michael Thomas. On trots Lutz for the 52-yard attempt to win the game and send the Saints to the NFC Championship Game, with a miss certain to end the Saints’ season instead. Just as Lutz gets ready to kick the ball, Eagles head coach Doug Pederson quickly races over to the referee to get his attention and then calls a time-out; in an attempt to “ice” Lutz in the same manner as he did with the Bears kicker at Chicago the week before. A minute goes by and the two teams then line up for the play, as 70,000 plus fans in the Superdome and millions of people watching across the country at home on their TV’s, are holding their breath. As the ball is snapped, Lutz kicks the ball right DOWN THE MIDDLE between the two uprights perfectly and sends the Saints to the NFC Championship Game. In the locker room about 25 minutes later, as the players dance to “Choppa Style,” Saints head coach Sean Payton gathers the players around to make an announcement. Two armed Brinks Security guards then walk in with the same wheelbarrow containing the Lombardi Trophy and the $225,000 in cash that the team had seen him show them at the team’s practice facility just a few days earlier. 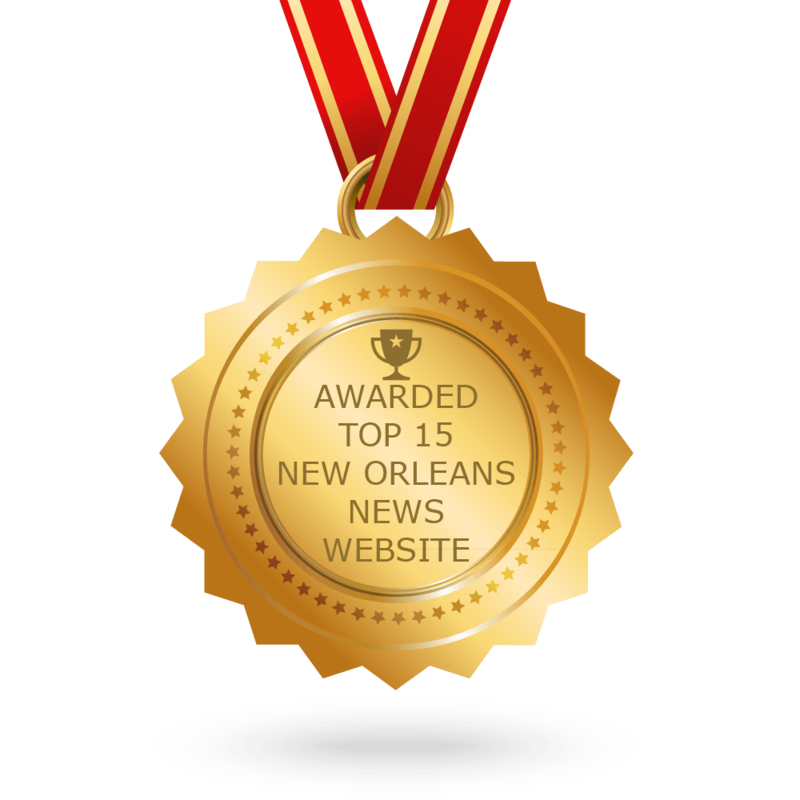 Barry Hirstius is a semi-retired journalist, who has worked as a sports editor and columnist and regularly appears on ESPN Radio New Orleans 100.3 FM “The Sports Hangover Show.” Barry is a New Orleans native who grew up as a fan of the Saints while attending games as a young boy at the old Tulane Stadium. He is the proud Grandfather of two beautiful young girls, Jasmine and Serenity. 36 – 24 Saints win.